On Oct. 21, 2014, Robert Bryson Hall II, better known as Logic, brought us his debut album, Under Pressure. The release blew away his fans that accumulated over the span of the almost five years of releasing mixtapes, as well as the many listeners that were blown away by the way he delivered his messages in his songs and really got their minds thinking. 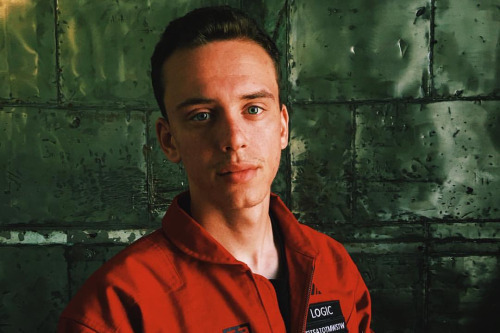 This week, Logic released The Incredible True Story, also known as “the album that changed everything,” by one of the characters on the album, Kai. It’s a unique work of art that is delivered in a new form, telling multiple stories at the same time. This is one of those albums you should listen to carefully and straight through, so don’t go clicking that shuffle button just yet! Starting out with “Contact,” you get a sense of the beginning of a journey. Pair that with the album cover and you get a small idea of the story that draws throughout the entire album, futuristic space travel to the planet, Paradise. Leading to “Fade Away,” one of the albums three singles, Logic provides his classic flow style, using a slower beat while he takes his verses in double time. The female robotic voice, known as Thalia, that was all over his first album makes a return, interacting with the other characters. Thalia can hold conversation and change voice and simulate anyone in recorded history. The third track, “Upgrade,” is a good transition out of “Fade Away,” starting out with a similar feel, but then taking off with a different feel of time, which Logic naturally goes with. The following is a scene “White People – Scene,” where the partners, Thomas and Kai of the Aquarius III, find another space ship coming in close to them. It is revealed that the story is taking place in 2093 or later and the Aquarius III is on a mission to Paradise. The fifth track, “Like Woah,” gives the same vibe that Logic is building so far, one that feels very fluid and calm. 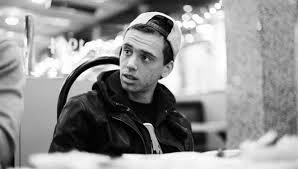 Leading into “Young Jesus,” Logic and Big Lenbo give a very angst filled, “old skool” hip hop sound. Being another one of the singles off the album, it sticks out and is a very solid jam that very well shows the two’s strengths. “Innermission” is another laid-back track, showing a very positive, yet vulnerable side of Logic. He again mentions his favorite actor, Quentin Tarantino. It then leads into another scene of someone “interviewing” a little girl about space, in which she talks about some planets and the planet Paradise. “I Am The Greatest” shows that Logic has his rapper mentality and confidence with a trappy sort of sound, different than most of his songs, but is still sticking to his same deliverance of messages. He says he can rap over “anything from Primo to that rap s**t,” which he certainly shows well here. “The Cube – Scene” is another short scene about Kai playing with a classic Rubik’s Cube (Fun Fact: Logic has solved one WHILE rehearsing for his world tour), something Thomas did not know of. “Lord Willin'” has an amazing hook with a very lively feel. If you listen closely, you can hear a fun little classic Nintendo voice, y’all might know as Mario. “City of Stars” is one of those songs that really started out well with me. I like the whole feeling. It feels futuristic, laid-back and different, for Logic at least. He made great use of auto-tune in this song, as well as references to Yeezy himself. “Stainless” starts out with a catchy high pitched trumpet beat. Logic then enters with lines that definitely show that they will need multiple listens to appreciate them properly. Dria adds a nice melody to the song with her lovely voice. Next, we have “Babel – Scene.” Thomas is asking about what the planet Paradise would be like since he has lived in a space station for pretty much his whole life. He also mentions that there are only five humans left in existence and the last human footprint was left on Earth in 2065. We finally hear “Paradise,” where Logic gives us a slightly different sound within his voice and this slightly changed beat from his norm. It gives it a nice, relaxed feel in which he does a lot of reminiscing of his life, as well as his musical career. “Never Been” gives a more popular feeling that you would get from a lot of songs being released right now with its singing, piano backing and the heart-felt lyrics and sound in Logic’s voice. Leading into “Run It,” with a softer piano sound and the cut off of a sound check, we end up with a funky sound and beat that Logic starts on immediately. He really shows here (not to mention the whole album so far) that he is the one to run it. We are finally left to our last scene, “Lucidity – Scene,” where Thomas tells his dream of being a musician, and how he feels enslaved because he wishes he could do something more. Near the end of this scene, the beat for “The Incredible True Story” starts with a bluesy feel from a band. Logic shares how important he feels the music is instead of the attention he gets from it. He gives us something new yet again and it is something very simple, spacing. He made use of it very well in this song. There’s no one song I suggest over the other, but I do suggest that you listen to the story in full all the way through to appreciate it.